Catering to the one percent has its perks. 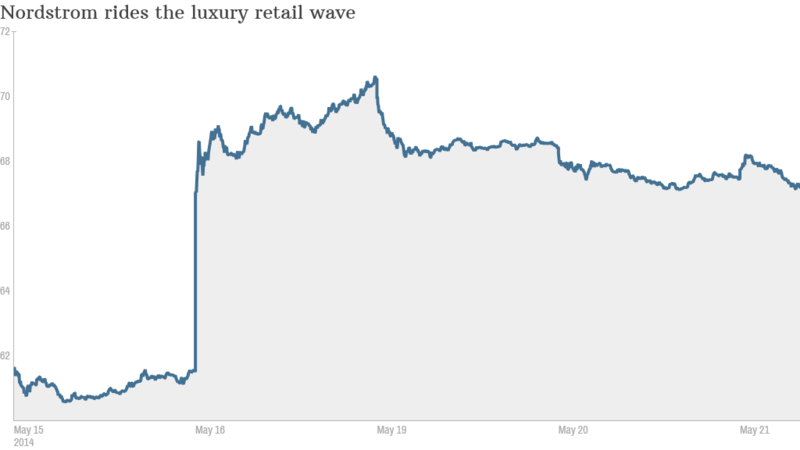 Just look at the recent performance of luxury retail stocks. Tiffany & Co (TIF)., Nordstrom (JWN) and Michael Kors (KORS) are all on a tear, driven by wealthy consumers' appetite for high-end brands. "They're serving a more affluent customer and they're selling brands that customers want," said Dorothy Lackner, an analyst at Topeka Capital Markets. Shares of Tiffany spiked 8% Wednesday to an all-time high after the company reported a 50% jump in earnings for the first quarter. The jeweler also raised its profit outlook for the rest of the year. 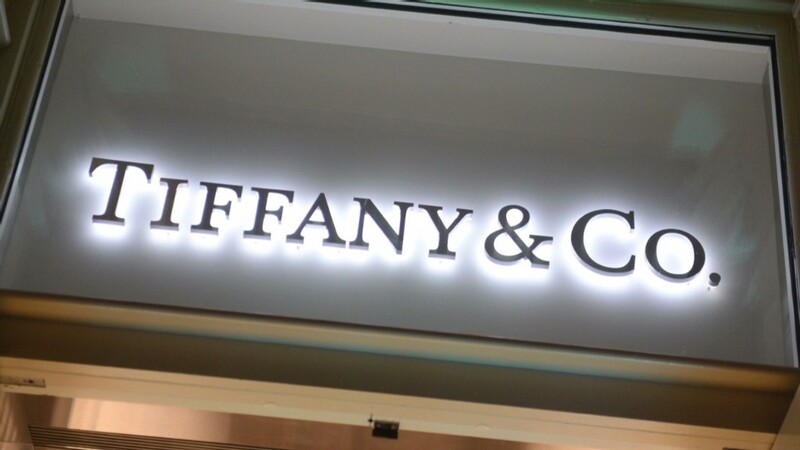 Asia continues to be a hot market for Tiffany, as Chinese buyers flush with cash flock to expensive brand names. The notion that the free spending rich are back in full force has gotten investors giddy. Shares of Nordstrom have popped more than 8% since the company released better-than-expected results last week. And Michael Kors is up 13.5% for the year. At the same time, retailers that cater to middle class consumers have gotten slammed. TJX Companies (TJX), the parent company of T.J. Maxx and Marshalls, is down 13% in 2014. Even J.C. Penney (JCP), which seemed to be making a comeback, is down almost 10% this week after posting sales that topped forecasts last week. The struggling retailer is still losing money. So what it all mean for the state of the economy? It seems that the rich are feeling good -- and with good reason. The Dow and S&P 500 are near record highs and home values are up, leading to a so-called wealth effect. But the middle class isn't noticing the benefits of a slowly improving economy, and spending on discretionary goods such as new clothing is taking a back seat. Lackner said that middle class consumers are "thinking more carefully about what they spend on." And that has shown up in the results of Wal-Mart (WMT)and Target (TGT) as well as many other retailers.